2. 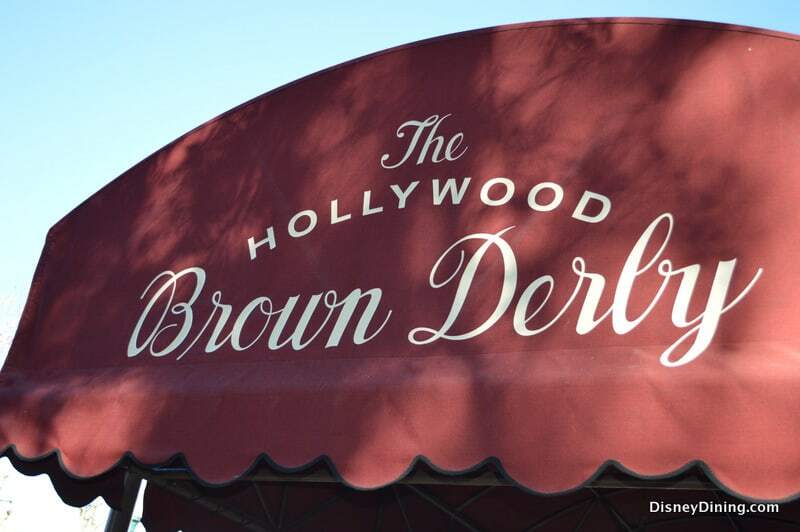 The Hollywood Brown Derby – Those who are looking to enjoy a full service meal in Disney’s Hollywood Studios have plenty of options to choose from, however one location is simply so delicious and perfectly themed that it cannot be missed on a visit to the park. The Hollywood Brown Derby is located at the end of Hollywood Boulevard on the right hand side and features the unmistakable logo of the neon brown hat outside. Open daily for lunch and dinner, this eatery is inspired by the restaurant of the same name in California and features warm wood accents, vintage lighting, and caricatures of Hollywood’s most famous individuals on the walls. The menu at The Hollywood Brown Derby features contemporary American cuisine with some classic items inspired by the original restaurant’s most popular items. Guests are sure to love ordering Our Famous Cobb Salad, Duck Two ways, Charred Filet of Beef, and Faroe Island Salmon in addition to classic cocktails that pay homage to the golden age of Hollywood. Guests who are familiar with the restaurant always make sure to save room for the Brown Derby Original Mini Grapefruit Cake which is the perfect ending to a can’t miss meal at The Hollywood Brown Derby in Disney’s Hollywood Studios.